The annals of history fail to provide an exact account of the origin of the folk festival of Gajan. 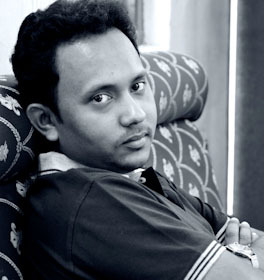 Gajan has always been primarily a folk festival celebrated mostly in the rural parts of West Bengal by people belonging to the Hindu community. The festivities and celebrations surrounding Gajan span for a little more than a week starting from the last week of the month of Chaitra according to Bengali calendar continuing till the end of Bengali new year. The auspicious occasion of Charak Puja marks the end of these festivities. The central theme of this festival is deriving satisfaction through pain, devotion and sacrifice. The word Gajan is considered to be a combination of parts of two different words – Ga is derived from the Bengali word “gram” meaning village and “jan” from the word “janasadharan” meaning folk. In this sense Gajan is a festival of village folk. According to some myths Gajan means “Garjan” a Bengali word which reveals the call of the “sannyasis” or “bhokta” to their lord Shiva. Despite countless efforts the actual history and origin of this festival has always remained shrouded in a cloud of mystery. It becomes almost impossible to ascertain with absolute certainty the time period which saw the emergence of these rituals and festivities. However the most widely accepted theory suggests that Gajan is related to the Buddhist monks to Hinduism. According to this theory the mass scale conversion of Buddhist monks to Hinduism can be dated back to the time when Buddhism was steadily losing its footing in India and in some places was even under threat. It was during this time Buddhist monks who took shelter in Bengal converted to Hinduism in order to escape the wrath of the forces threatening their existence. However in due course of time these festivities and the festival of Gajan came to be known as a festival marking the worship of Lord Shiva or Mahadev. In many ways the festival of Gajan paves a path for the otherwise ignored and peripheral section of the society to rise to a place of prominence. Anyone embracing the rituals of this festival is considered to be an ardent follower of lord Shiva and enjoys a respectable position in the society. In earlier times the peasant class which faced torture and humiliation from the landlords or Zamindars would use the festival of Gajan as a platform to prove their mettle as a devotee of Shiva and gain acceptance among the upper classes of the society. However the path leading to the upper strata of the society was by no means an easy one. In order to atone for their sins and be considered as representatives of Shiva the devotees were involved in piercing one’s tongue with sharp needles to hang one from sharp hooks hanging from wooden structures. The caste differences are not so rigid these days but these practices of self-inflicted pain and sufferings are still very much prevalent. 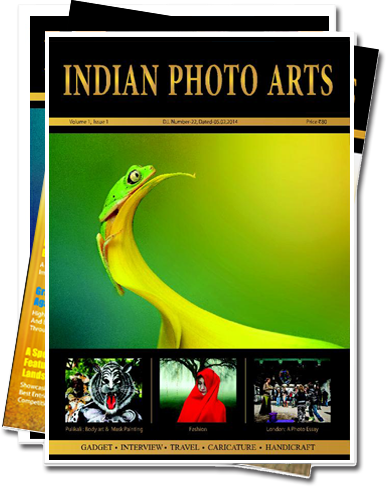 The festival and the rituals associated with vary in nature in different parts of West Bengal. 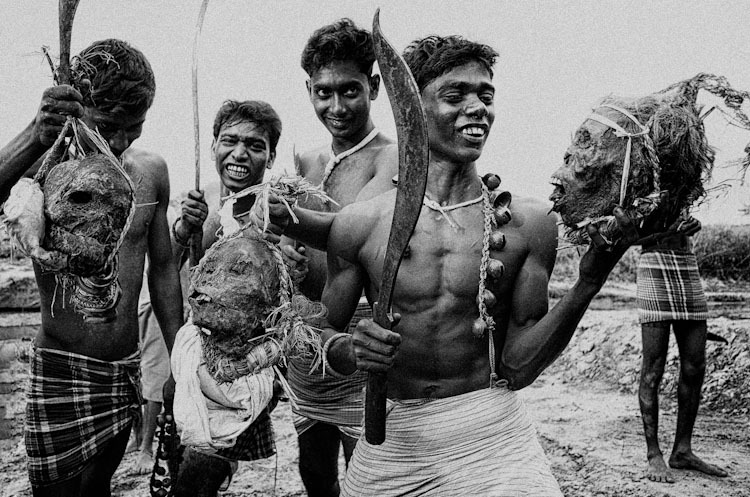 However some of these celebrations take a morbid turn when dead decaying bodies and other human body parts such as skulls and bones become an integral component of these celebrations. 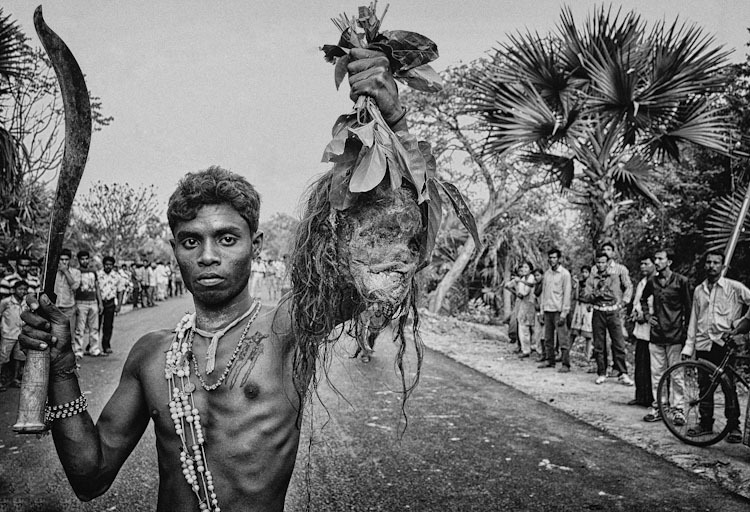 One such remote village in the district Bardhaman has been a witness to these morbid celebrations for decades now. 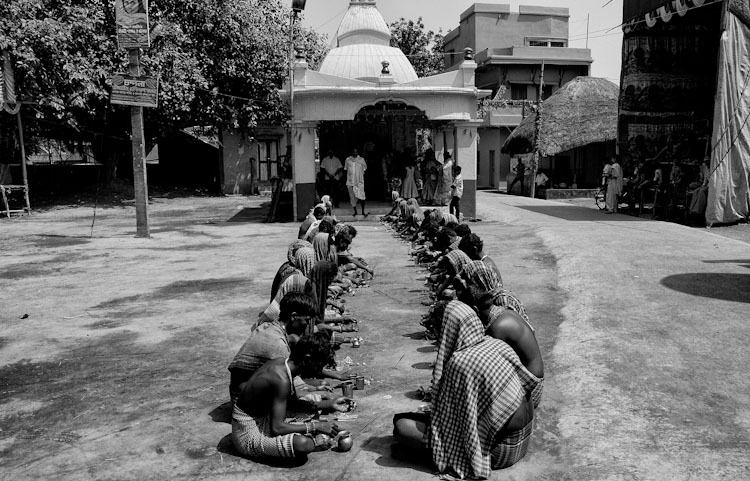 According to villagers, this practice has been going on for more than a hundred years. It is needless to mention the practices are primal enough to challenge the finer senses of the uninitiated. The local administration is believed to be in the knowhow of things and although the legality of some of these practices may be questionable the local administration chooses to turn a blind eye to them. 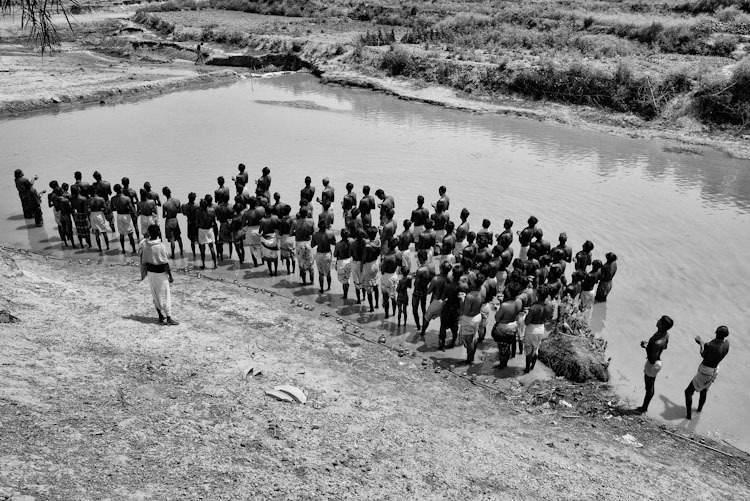 The devotees set out in hunt of a dead body from the local burial grounds. Financial constraints or a large scale epidemic often force people to bury their relatives in the graveyards. These dead decaying human bodies provide the devotees with some of the elements central to their celebrations such as the human skull. 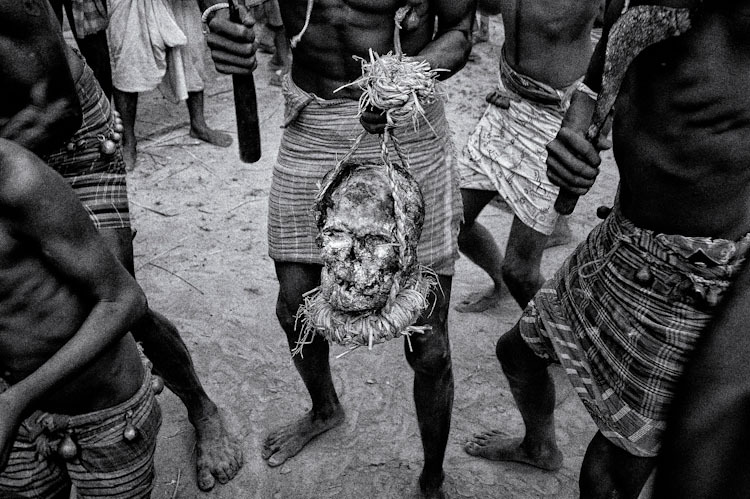 The bodies are dug up; the skulls are chopped off and form an essential element of these celebrations. 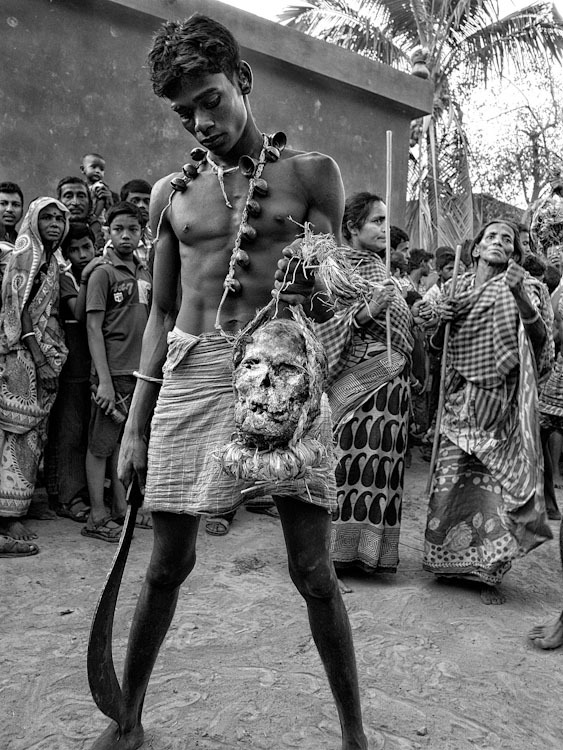 Once the celebrations are over these skulls are preserved at some secret location in the village only to be in the future in the same way as it has been for more than a hundred years in this remote corner of West Bengal. The festivities begin with the customary morning prayer during which all the devotees gather around to offer their prayers. The morning prayer is soon followed by an offering made to the Sun God. 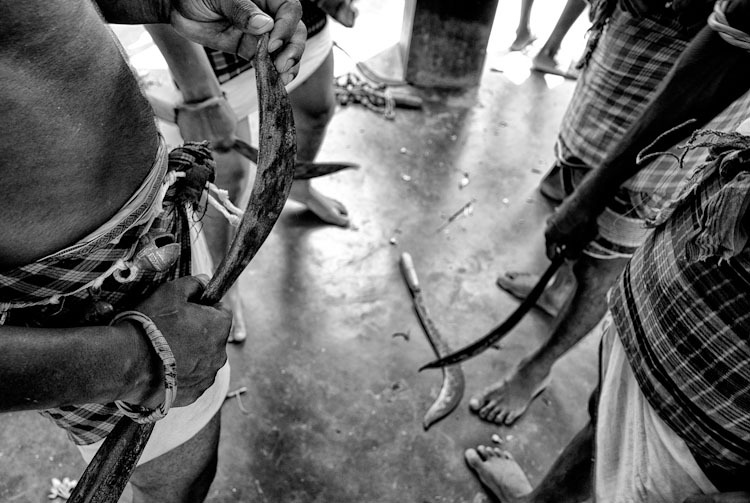 These sickles form an important component of these festivals and the devotees make sure they are up to the mark. 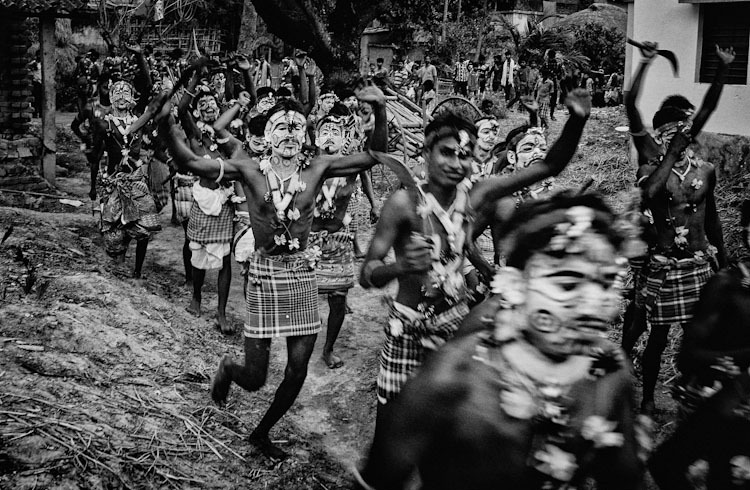 Armed with the sickles and with their faces painted in elaborate manners the devotees set out in long processions. 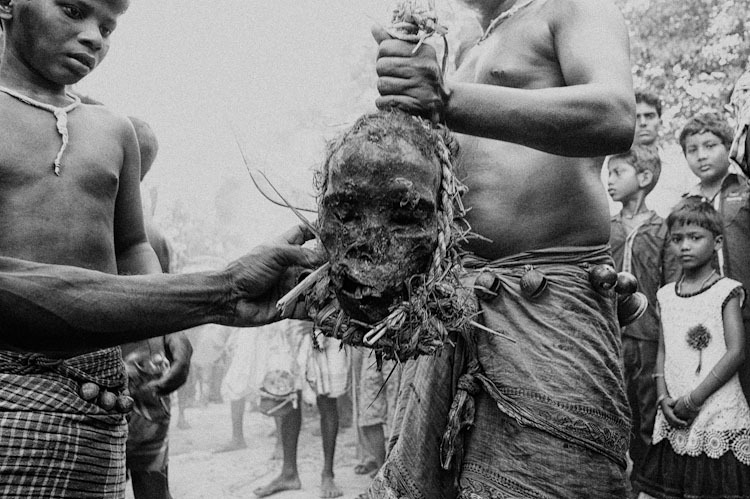 One of the devotees shows off an old and decrepit human head, which has been an essential component of these strange rituals for more than a hundred years now. As the festivities gather momentum the devotees too get more involved in the celebrations. Sights like this one soon become far too common as more and more human heads and skulls become part of the celebrations. This century old practise during the festival of Gajan is all too natural for the people of this village and has seamlessly passed on from one generation to the next. 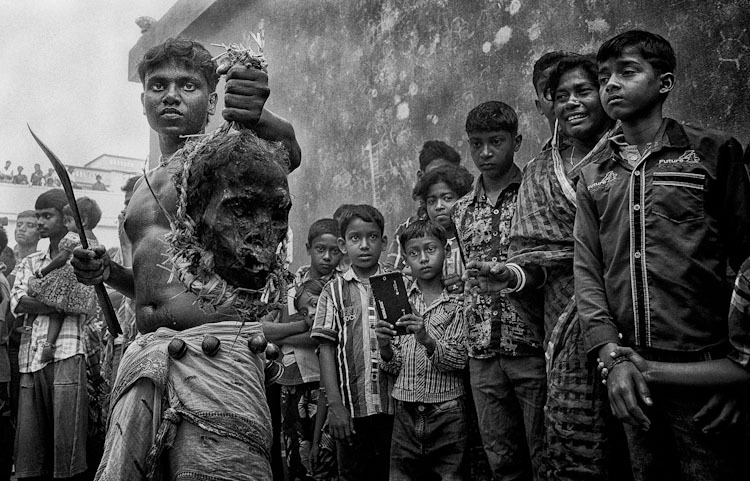 The villagers gather around the devotees performing the rituals with human heads or skulls in their hands. The morbid twist to these celebrations can certainly be unnerving for any outsider or somebody unaccustomed to these strange ways. 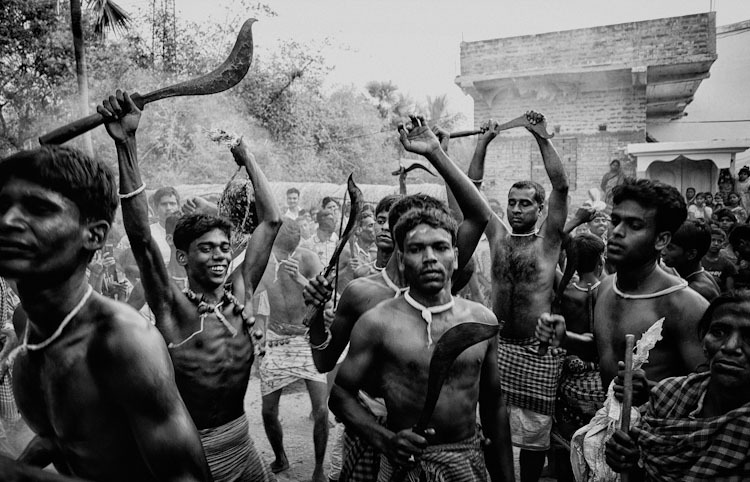 It is hard to trace the origin of this strange practice during the Gajan festival in this remote Bardhhaman village but there can be no denying it has turned into one of the most prevalent one during these festivities in this village. 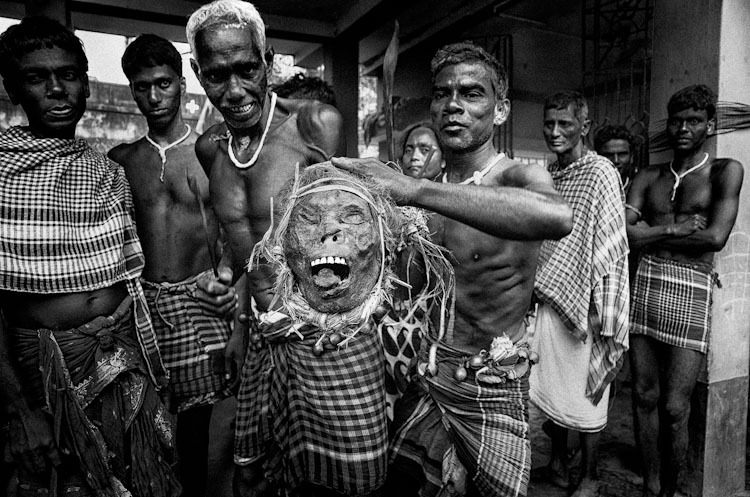 A devotee with a human head, the most unique feature of Gajan festival in this remote village of West Bengal.